An album of carefully crafted and beautifully sculptured songs that keeps you enthralled from beginning to end. Musically delving into the heartland of acoustic roots and lyrically exploring the notion of home and what it means to each of us. 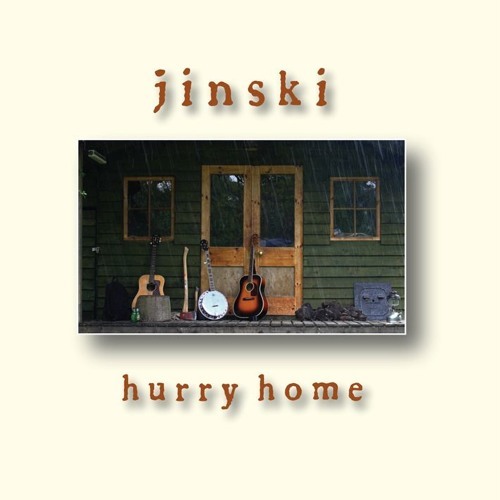 "From the direct, clipped opener 'In My Backyard' through the polished potential hit 'King Of The Radio' to the rugged country blues of 'My Father's Hands', Jinski offers a consistently appealing brand of intelligent songwriting ... strongest recording yet"- ROCK'N'REEL magazine. Song Titles In My Backyard, Goodbye Lucky Guy, Good Morning, Hand Of God, Hurry Home, King Of The Radio, My Little Earthquake, That's Enough For Me, My Father's Hands, What's Wrong, You Will Find Your Way.